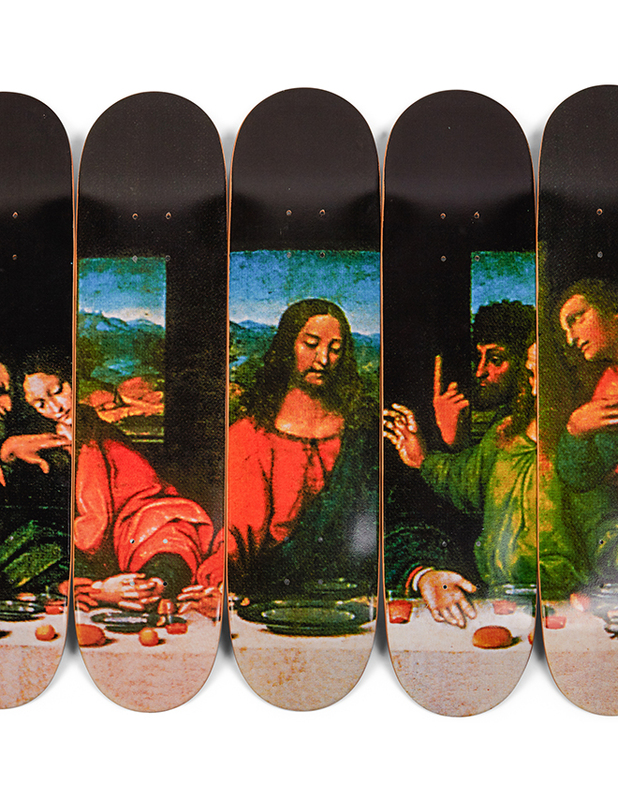 Available as an online auction, you can now own a complete archive of Supreme skateboard decks accumulated since 1998 for approximately US$1 million. Long gone are Supreme’s humble beginnings, sprawling an old office space in downtown Manhattan, with its nucleus of skaters running the floor, as early back as 1994. As skate culture undergoes a transformation for mass consumption in an era that is fervently preoccupied with street style, a legacy skate brand like Supreme has now become an industry giant, commanding legions of loyal fans who set up camp outside its flagship stores ahead of every capsule drop. 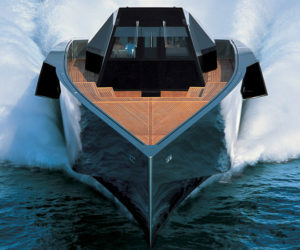 Such a degree of elevation into ubiquity has only made the brand more exclusive. Like how regular skaters no longer run its stores, Supreme’s production runs can no longer cater fully to a booming consumer base. 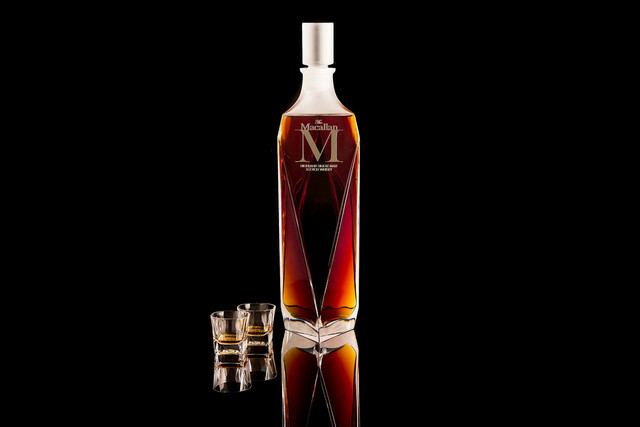 Coupled astutely with exclusive, limited edition-only drops in recent years, the smallest articles of the brand attain collector status. Fanatics may flip the little Supreme Brick, quite literally a brick branded with the box logo, for manyfold its retail price. 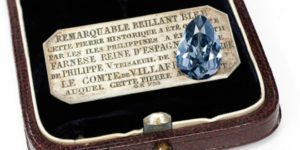 Sotheby’s latest offering then, a designated single lot for a complete archive of Supreme skateboard decks epitomises the success of the brand, to have come from the streets to auction houses. The collection that is up for online auction is a two-decade-long complete archive of authentic Supreme skateboard decks from 1998 to 2018 owned by Los Angeles-based collector Ryan Fuller. 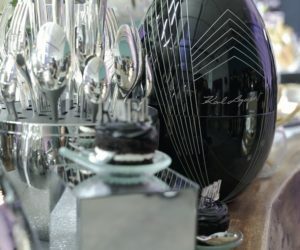 Its first exhibition at Jason Vass Gallery in downtown Los Angeles was titled Inferno, after full authentication of each deck by StockX – the online peer-to-peer marketplace for verified authentic sneakers, streetwear, handbags, watches, and more. 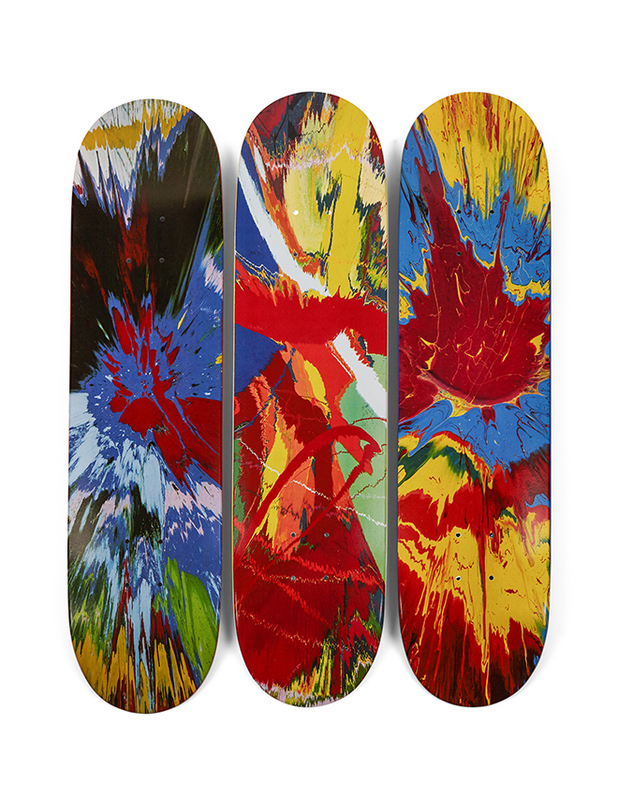 Featured decks are Artist & Artist Estate Collaborations with Jake & Dinos Chapman, Dan Colen, George Condo, Damien Hirst, KAWS, Jeff Koons, Ryan McGinness, Marilyn Minter, Takashi Murakami, Nate Lowman, Richard Prince and Rammellzee. 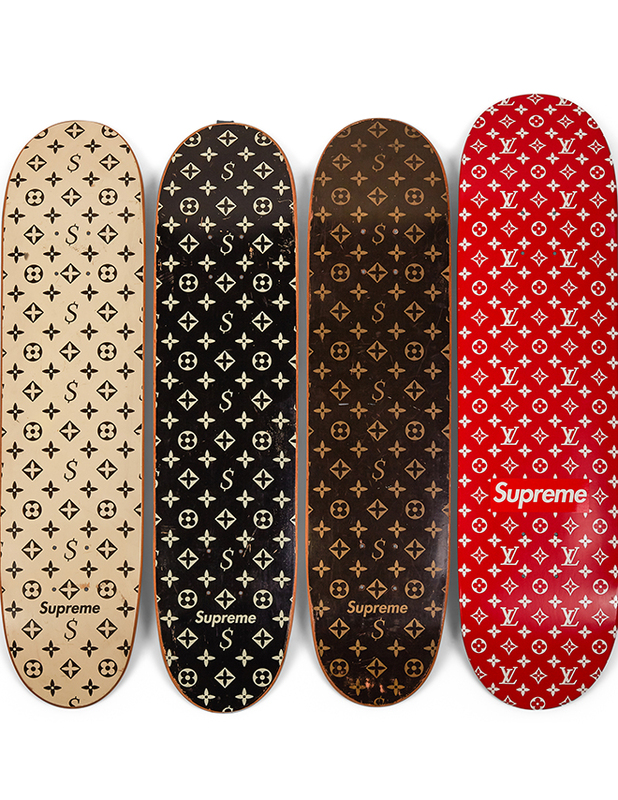 The coveted monogram decks of the Louis Vuitton x Supreme Fall-Winter 2017 Collection, including both an unauthorised and recalled Logo set from 2000 and the authorised collaboration ‘Boite’ skateboard Trunk and Deck from 2017, are also in the mix. 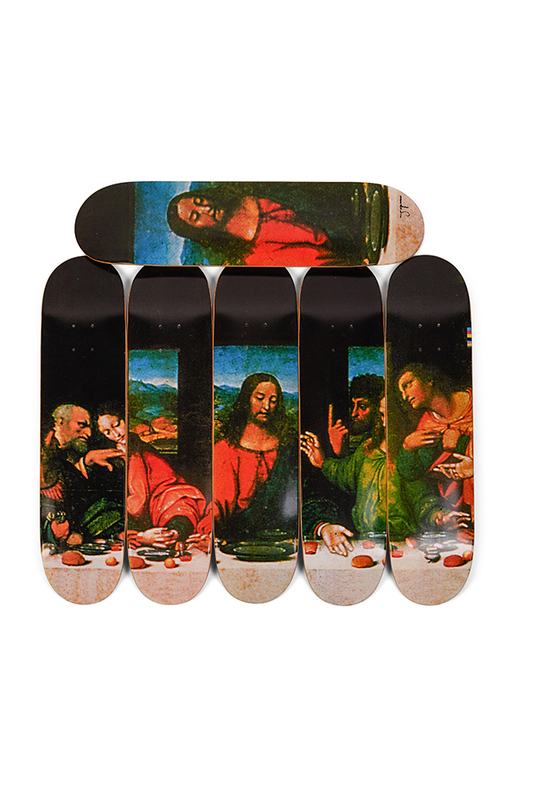 Lastly, the complete ‘Last Supper’ set, marked by the ‘Jesus Deck’ which was only released in Japan, tops off the collection. Open for public viewing from now through 20 Jan 2019, the collection is estimated to fetch US$800,000 to US$1.2 million for years of skate culture and collector’s devotion. 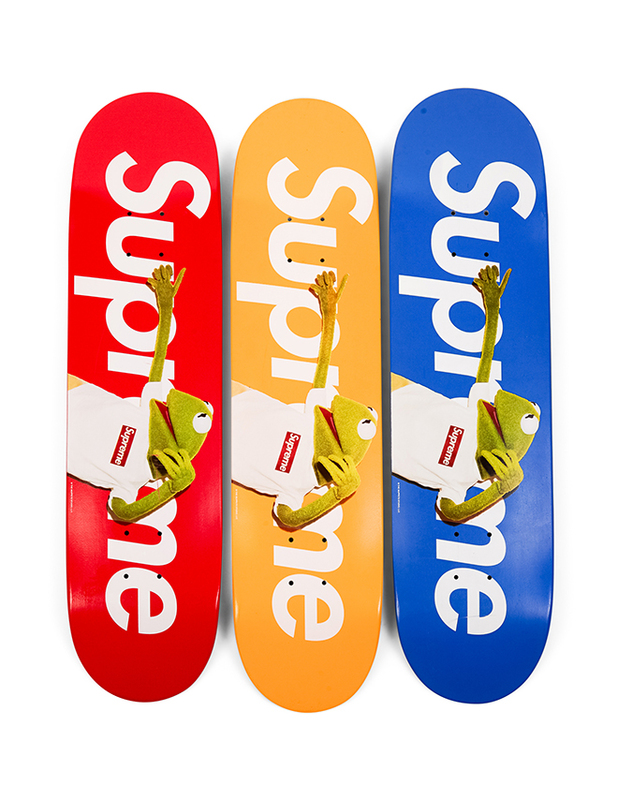 Cry foul all we want at the sheer ridicule of such hypebeast mania because ultimately, it’s the only collection in existence that includes every deck that Supreme has ever released, dating back to fledgeling years of the brand. Considering the mania surrounding Supreme, It remains to be seen just what astronomical figure (we predict) the auction will close on. 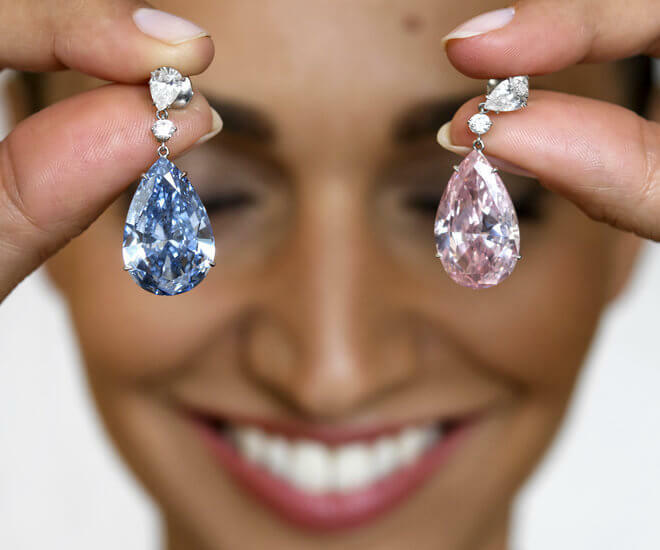 The online sale will be available from 17 Jan 2019 through 25 Jan 2019 with no buyer’s premium.